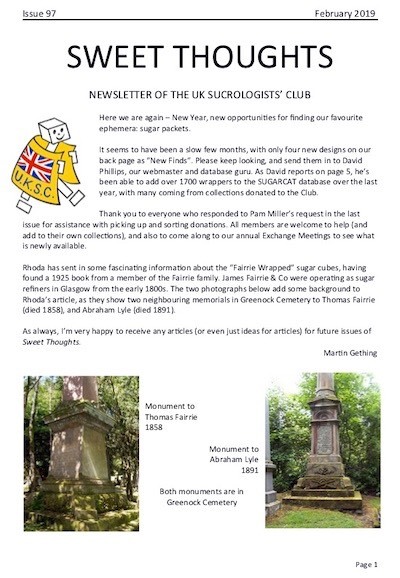 fSweet Thoughts is sent quarterly to all members of UKSC. The printed version is in black and white. A full colour version can be downloaded from the members' area of the website. A userid and password are needed to access the members' area. Selected articles available for download. Material should be sent to the editor, Martin Gething, except for details of New Finds which should be sent to David Phillips.